Aleeya's Touch: Fashion Show @ NIEW Ladies Carnival! A blog for those in need of a MAKEOVER! 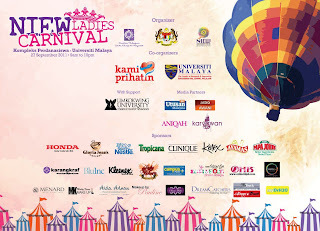 Aleeya's Touch , Honda Global Amity Malaysia , ProTouch Hair & Beauty Studio , Nana Bridal Boutique and thepoplook.com is sponsoring our NIEW LADIES CARNIVAL! 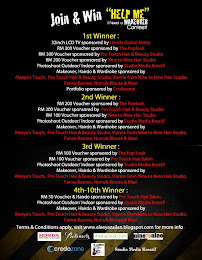 COME FOR A MAKEOVER & PHOTOSHOOT by Aleeya's Touch and GET YOUR PHOTO TAKEN BY A PROFESSIONAL PHOTOGRAPHER FOR ONLY RM50! 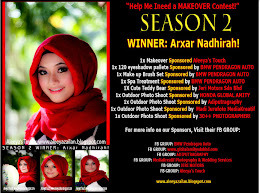 Top Model Farah Zulaikha and Afiera Riana As will be our model for the fashion show! soo come and have ur photo taken professionally with them! "LIKE" Aleeya's Touch FAN PAGE NOW! Everything in this blog from PICTURES TO WRITTEN WORDS ARE COPYRIGHT! DO NOT COPY! LEGAL ACTIONS WILL BE TAKEN IF YOU DO! 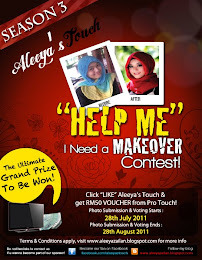 Aleeya's Touch "Help me I need a MAKEOVER Competition SEASON 2! 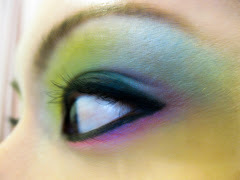 Aleeya's Touch Basic to Advanced Makeup Class! 26 Jan 10 - Fiona Jalaluddin Makeover! 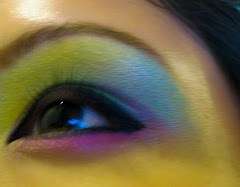 23 Jan 10 - Dyla Makeover!